It seems like I’ve spent most of my life commuting to work. Of course I’m not alone in this, but while for most it’s a suburban to city drive, for some of my friends this means a walk/car/train/tram experience from Geelong to Melbourne, for me it’s a little more. Anyway – my commute is from Geelong, Melbourne to Silverwater, Sydney. As an Airline Check & Training Captain, this week I have two days of teaching and examining in our Flight Simulator, followed by a line check flight. Sometimes I take the bus from Geelong but this morning I took the car. The drive is ok – it’s a good time to listen to the high points of a week’s accumulation of Radio National podcasts – but damn it was cold. A week ago we sweltered in 40+ degrees – this morning it was barely 10 and raining. Melbourne. Some mornings I hit the road earlier with the conventional big city commuters – leaving Geelong at about 5:45am. My highway journey commences on the Geelong bypass with several other cars, jockeying for position as we sort out our cruise controls and settle in for the hour long drive. By the time I pass Avalon Airport, we’re now well and truly into double figures, with no sight of the cars I commenced this morning’s journey with. By Werribee the traffic is serious now and within sight is easily a few hundred cars, all headed in my direction down the bitchumen, no cruise control now as we each vary our speed and lane to stay as close to the limit as possible. As I look around the mass of humanity surrounding me (actually not so much humanity as almost every car I can see has just the one occupant) it’s easy to see the result of where we’ve gone wrong along the way on this planet. It seems the basis of our government, our economic system, our very existence is a zealous pursuit (even jealous pursuit) of continual growth and consumerism. I read recently that current estimates place our consumption as the equivalent of approximately 1.2 Earth’s. Any attempt at a solution to the coming Gread Disruption is certainly not evident around me today (since the 2008 rebound off the Earth’s fuel and food limits, accompanied/caused as it was by seemingly random environmental events, was a Global Financial Crisis – what is to come deserves a longer word). Turning the cars around me green is unlikely to fix the fundamental flaw our species bases our economic life on at present. It might be a good start though. Continuing my commute – all was going well until I hit the check in queue at domestic. The line was twisting back and forth as it does out front of the check in counters, but then trailed off in the distance towards the international terminal. I smiled winningly at the staff member who currently held the power of God over the queue, but was studiously ignored. Sixty minutes later I was checked in, the time now 10am and fortunate for me (?) my flight is delayed until 10:30, so I should make it. Timely arrival at the departure gate only serves to raise my hackles as there’s no plane in evidence, along with an absence of staff. Eventually I discover the aircraft is late in from Sydney – 11:00 is the more likely departure time. Eventually the aircraft arrives, passengers are off, engineers are on. Finally (12:00) the aircraft is now grounded, the flight cancelled and it’s off to baggage claim, then check in once again, to commence the merry go round once more. I did eventually make it Silverwater Sydney, albeit a little late. So that’s my all too typical commute at the moment. 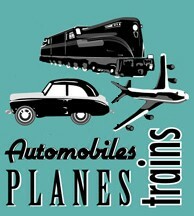 My current employment sees me regularly experiencing Bus, Car, Plane and Train – sounds like a movie really. Various jobs in the past have had me commuting from Melbourne to Hong Kong, from Dubai to Melbourne and there have been many times when I’ve been on short term bases (weeks/months) in one city while my family resides (usually for economic reasons) in another. We’ve live in Melbourne, Hong Kong, Tamworth, Darwin and Dubai. I seem incapable of finding a job in the city I live in. Our current commuting predicament comes about partly due to the fractiously disparate nature of my current employer (a Sydney “based” airline who’s management all reside in Brisbane and operates flights from Sydney/Brisbane/Melbourne to several international destinations); partly economic (we can’t afford Sydney); partly education with my eldest child entering International Baccalaureate this year, essentially making him a fixed asset at the moment; and partly a lifestyle choice – neither my wife nor could come at living in BrisVegas (no offence). As the pressures of these various factors ease we will no doubt re-evaluate, but for the moment I’m stuck living 1000 kilometres from where I’m supposed to work. So – what’s your commute?